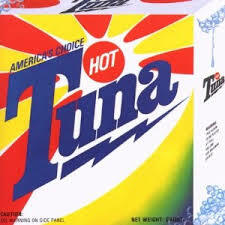 America’s Choice is the fifth album by the blues rock band Hot Tuna. This album marked a changing of the guard for the band, as they had dropped down to a three piece unit and began to create a more heavy metal style music, that was becoming all the rage. The record was recorded at Wally Heider Studios, San Francisco in 1974 and put out on the Grunt Records label. Hot Tuna was comprised of Jorma Kaukonen on guitar, Jack Cassady on bass and Bob Steeler on drums. To get into the story of how this band got together is complicated and can be found here. “Serpent of Dreams” is the second song on the B side. It doesn’t have that true heavy metal sound that many bands like Black Sabbath or Deep Purple where playing but a psychedelic rock sound of the late 60’s versus the heavy metal sound of the early 70’s that mainly comes out from the sound of Jorma’s guitar. While researching for this post we had trouble trying to find out what Kaukonen was thinking about when he wrote the song, but as The Seth Man put in one of his blogs “The brutal, epic drug dream “Serpent Of Dreams” follows, uncoiling and unfurling waves upon waves of electronically messed guitar lines. It could possibly be one of Kaukonen’s highest all time achievements, ever. There are so many solos on this expressionist, drugged-out ballad that Steeler is resigned to calm down with the drum fills and just play a relatively standard timekeeping role. The qualities of Kaukonen’s reoccurring, high-pitched soloing sears everything when it continually re-erupts back to life with startling ferocity. Like I said, it’s brutal”. We like to think of Serpent of Dreams as Quicksilver Messenger Service’s song “Mona” that was written by Bo Diddley on steroids, another great song off of America’s Choice that you need to check out is “Funky #7. This entry was posted in Classic Rock, Forgotten Rock Classics, Forgotten Songs, Hot Tuna, Jack Cassidy, Jorma Kaukonen, Music, psychedelic rock, Rock Band, Serpent of Dreams and tagged Classic Rock, CS5711, Forgotten Rock Classics, Forgotten Songs, Hot Tuna, Music, Record, Rock Music, Serpent of Dreams, Song. Bookmark the permalink. This is a pretty good song it reminds me a bit of the music that my dad would listen to on his old stereo system. The old song I usually listen to is from the 80’s like with Huey Lewis, so it’s nice to hear one that is from the 70’s for once. Teh Dog Glad you liked the song and it is our pleasure to turn you on to some of the older music that really was the stepping stone to what we hear today. As you have grown older and noticed how the music industry has changed, this just adds to that knowledge your dad started to gave you in the 80’s.